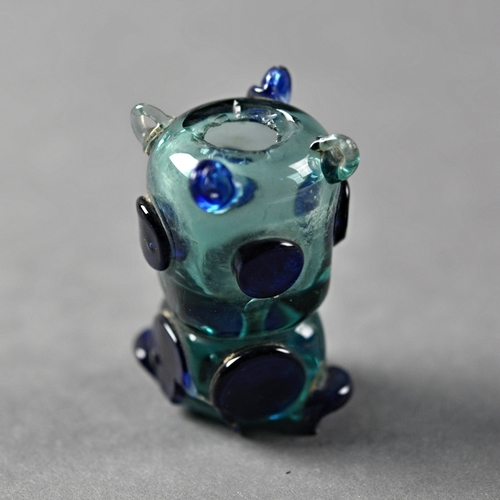 This small light blue glass inkwell of Abbasid date is comprised of two segments separated by a deep groove. The top is a small hollow cavity, into which the ink would have been poured. It is capped with four small loop holes at top, two in light blue and two in dark blue, which would have allowed the inkwell to be suspended. The base is smaller and solid and features four broken dark blue 'nobs' at its base. 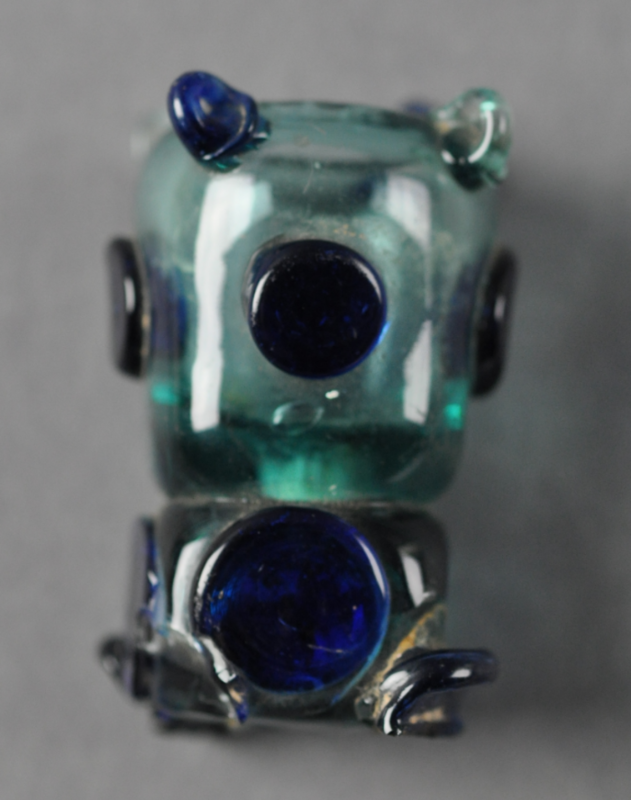 The design of this inkwell is comparable to other glass pieces found in the Hebrew University excavations of the lower town of Beth Shean. 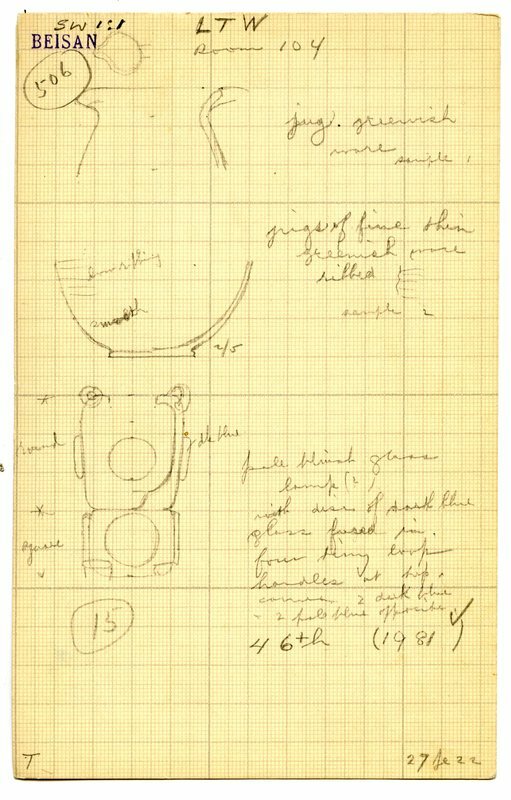 It has been mislabeled as both a vase and lamp in the original field register. 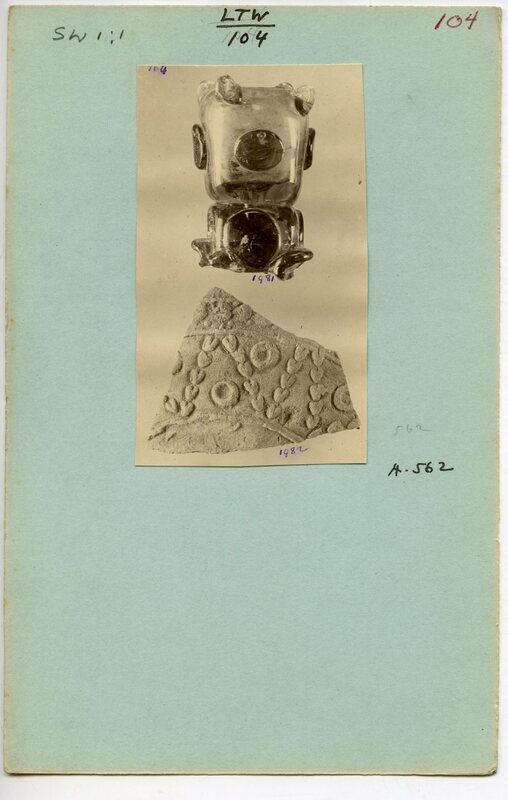 Fitzgerald, Gerald M. Beth-Shan Excavations 1921-1923: the Arab and Byzantine Levels. Philadelphia: University Museum, 1931.